LNG backers recognise it is likely to be an interim fuel but argue that it could also be a pathway to the industry's long-term emissions goals. A new study commissioned by a pro-LNG group sees greenhouse gases throughout the fuel's life cycle. But can it convince critics who urge owners to shift investment in future fuel development? Peter Keller (right) believes LNG is currently the industry's best available option. PRODUCING and using liquefied natural gas can reduce emissions by up to 21% across the fuels entire cycle compared to conventional fuel oil, according to a new study released today which backers are using to prop up LNG's role in shipping decarbonisation. The study commissioned by pro-LNG industry group SEA/LNG and marine gas non-governmental organisation SGMF assessed the performance of LNG fuel from the production and processing phases all the way up to its combustion, compared to oil-based fuels. Compared to heavy fuel oil, LNG cuts greenhouse gas emissions between 14% and 21% in two-stroke engine vessels, which account for 72% of marine fuel consumption, according to SEA/LNG. Savings are smaller for four stroke engines, ranging from 7% to 15%. GHG emissions solely from the combustion phase on board vessels dropped by up to 28% compared to heavy fuel oil in two-stroke engines. Thinkstep, the consultancy that conducted the study, used primary data provided by original equipment manufacturer. The study did not assess for different vessel types, trades or conditions. The study’s conclusions are in line with other estimations of GHG savings from LNG as a fuel, earning it an identity as a transitional fuel in the shipping industry's quest to decarbonise and eradicate GHG emissions. SEA/LNG chairman Peter Keller said it was probably right that LNG is an interim fuel but insisted it is the best available option at the moment to combat emissions. “How far it will go and how long the path is until there are other opportunities, we do not know really know, I do not think anybody can tell us that,” he said during a press conference in London on Thursday. The IMO last year committed to slashing GHG emissions by at least 50% by 2050 compared to 2008. Vessels must also improve their relative carbon consumption by at least 40% by 2030 and aim for 70% by 2050, compared to 2008. Industry groups and large individual companies have publicly backed these targets, albeit with often subtle remarks about the difficulty of attaining them. LNG backers have long touted both its sustainability compared to fuel oils and its availability compared to other alternative fuels that may yield greater GHG savings. 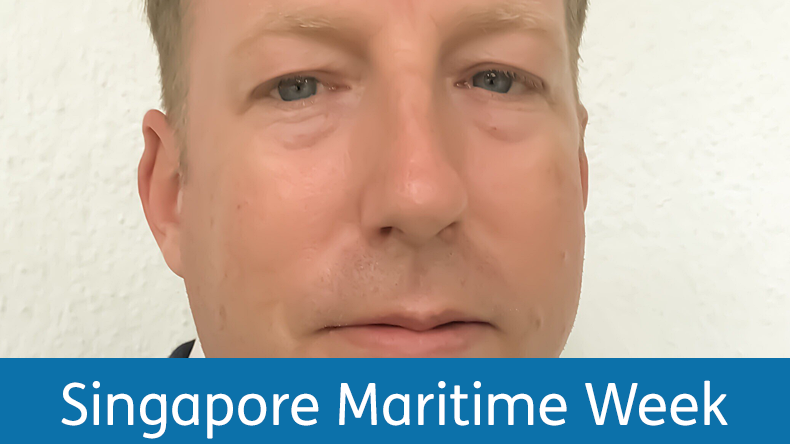 “With the world LNG bunker vessel fleet doubling in the next 18 months and those vessels being deployed at major bunkering hubs, LNG as a ship fuel is rapidly becoming readily available,” SGMF board chairman Chad Verret said in a press release. 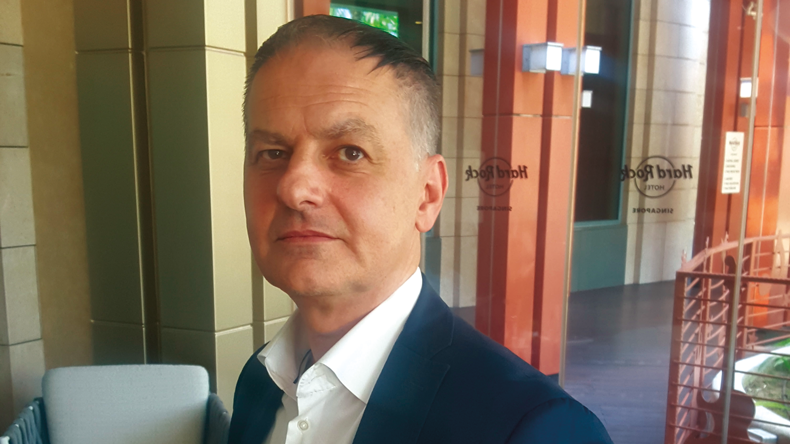 Critics have stressed it should be a short-term solution, as it fails to meet the emissions targets the shipping industry has imposed on itself, and want investments to prioritise zero-carbon fuels and new propulsion technologies, as opposed to LNG. Despite recognising the likely transient nature of LNG as a fuel, Mr Keller argued that anticipated manufacturing, technological and operational efficiency gains, such as the containment of methane during combustion, among others, could potentially create a pathway for LNG to meet the 2050 emissions goals. “It is a question of over the next 10, 20, 30 years how will all those come together. But we certainly do see a pathway to getting there,” he said. SEA/LNG and SGMF hope that the use of more sustainable hybrids of LNG, such as bioLNG and synthetic LNG, could augment emissions reductions. “For example, a blend of 20% bioLNG as a drop-in fuel can reduce GHG emissions by a further 13% when compared to 100% fossil fuel LNG,” they said in a press release. Mr Keller said that a new study will explore what those pathways to 2050 would look like.